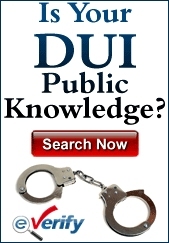 Was It An Improper DWI Arrest? You are here: Home / Defense Strategy / Was It An Improper DWI Arrest? When a driver in New Jersey is arrests on charges of driving while intoxicated, the immediate reactions include fear and dread. There are many issues that surround a DWI conviction and, depending on the circumstances, can cost a lot of money, lead to jail time and negatively influence a person’s life for an extended period. Because of that, it’s important to know whether or not the arrest was done properly. 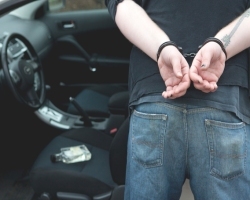 Even if the driver had a blood alcohol content over the legal limit, there are certain rules that law enforcement must follow to protect the defendant’s rights. With an improper arrest, it is possible that the subsequent charges could be reduced or even dropped. If the case moves to trial, the entire traffic offense of DWI could result in acquittal in the event that the police didn’t follow the required protocol. Drivers might be under the impression that a law enforcement officer is allowed to make a traffic stop for no reason at all. This is not the case. An officer cannot make a traffic stop at his or her whim. There must be a justifiable reason for doing so. If the officer witnesses the vehicle committing a violation such as going through a stop sign or a red light, then a stop can be made. If the driver is weaving in and out of traffic and committing dangerous actions, this too is a viable reason for the stop to be made. When there is a DWI arrest, it is important to know whether or not the stop was made legitimately with probable cause. If it wasn’t, there is a possibility that the charges will have to be dropped. After the stop is made, the officer will interact with the driver to see if there are any clear signals of intoxication. This can include the smell of alcohol emanating from the driver, bloodshot eyes and slurring words when speaking. When an officer still believes that a DWI is being committed after speaking to the driver, there will be field sobriety tests given. The National Highway Transportation Safety Administration (NHTSA) has created guidelines for field sobriety tests. In New Jersey, the three most commonly used and accepted tests are the Walk and Turn test, the One-Leg Stand test and the Horizontal Gaze Nystagmus test. All have flaws that could be exploited when questioning whether or not the arrest was completed properly. With the Walk and Turn test, the suspect will be asked to stand with feet together and walk heel-to-toe to a designated spot, then turn around and walk back to the where they started from. If the area upon which they are walking is not even or has rocks and holes, it can be difficult to maintain balance. Perhaps the driver has an ailment or is elderly. These could also be reasons for the test to appear to have been failed. With the One-Leg Stand test, the same flaws apply. The suspect will be asked to stand on one leg with arms extended straight out and the toes of the raised leg pointed forward. If the driver is overweight, has a back injury or is suffering from any other health issues, this could be difficult to complete to specifications. The Horizontal Gaze Nystagmus involves the driver looking straight ahead as the officer holds an object – a penlight or a pen – in front of his or her eyes. It will them be moved to the left and right in the driver’s field of vision. If the eyeball jerks when moving to the side, this is judged as a sign of intoxication. In truth, that could be due to a medical condition and not excessive drinking. After the field sobriety tests are given, there will be a breathalyzer test to determine the driver’s blood alcohol content. In New Jersey, a driver who is 21 or over who registers a BAC of 0.08% or above will be arrested for DWI. If the driver is under 21, the BAC to warrant an arrest is 0.01%. For a commercial driver, it is 0.04%. The breath test also has rules that must be followed by the officer. For example, it is required that the officer observe the driver for 20 uninterrupted minutes prior to giving the test. This is to ensure that the driver doesn’t do anything that would possibly compromise the accuracy of the test including regurgitating, smoking a cigarette or chewing gum. If this rule is not followed, it could be an inaccurate DWI test. The officer is also required to be certified to give the test and the machine itself must be properly calibrated. If these rules are violated, then the DUI evidence accrued from the test could be deemed as inadmissible. When there is a DWI arrest, it is imperative that the defense attorney examine the entire scope of the evidence to see if there were any mistakes made or reasons that the driver might have appeared drunk when it’s possible that alcohol was not a factor. If it can be shown that the arrest was made improperly for any reason, the charges might be reduced, dropped or there could be an acquittal.